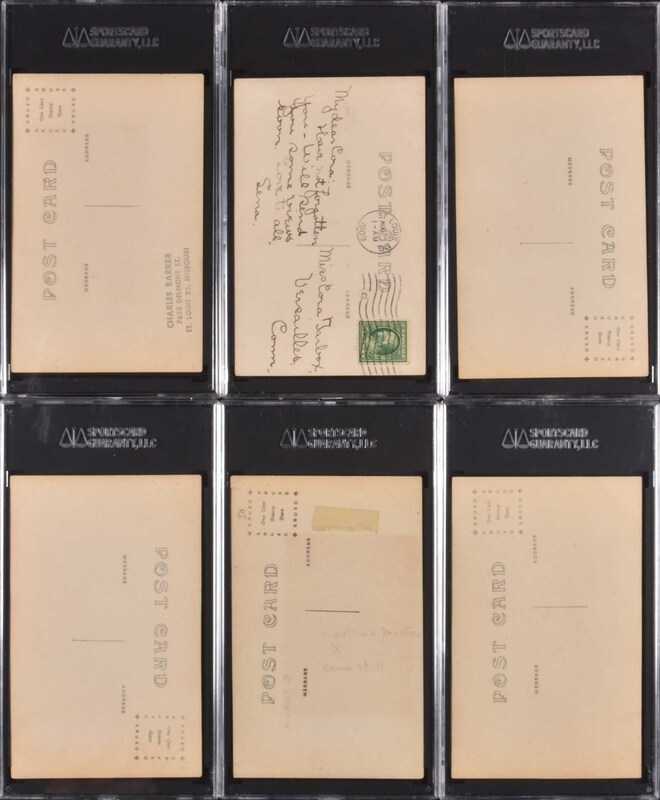 Extremely substantial collection of seventeen stunning real-photo postcards from the PC743 H. H. Bregstone Postcards series. Noted as "among the rarest of early 20th century baseball player postcards" in the Standard Catalog of Baseball Cards, this is only the fifth time we have offered a Bregstone Postcard during the past fifteen years! This series features exclusively members of the St. Louis Browns and Cardinals with each player depicted in a sepia-toned photo posed on a ball field. 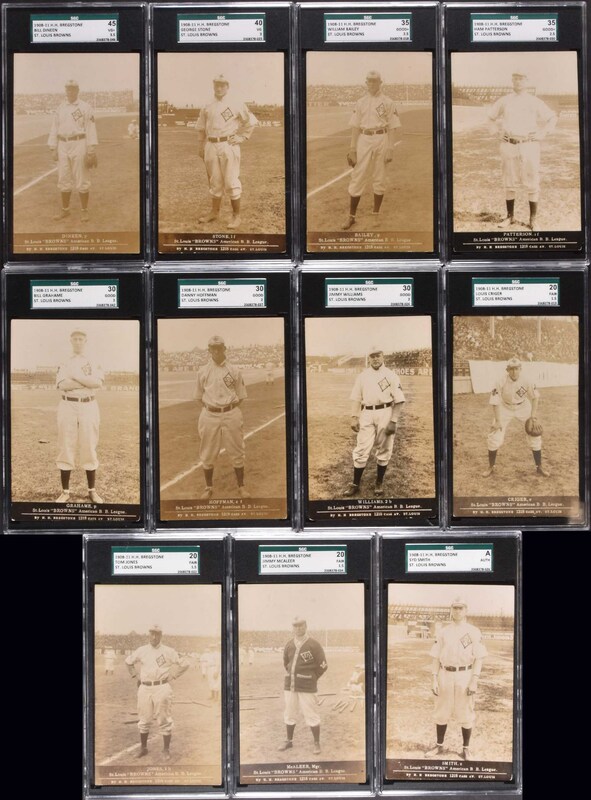 The offered collection of Bregstone Postcards is composed exclusively of St. Louis Browns players, representing a near-complete subset of the twenty-two known players in the series. 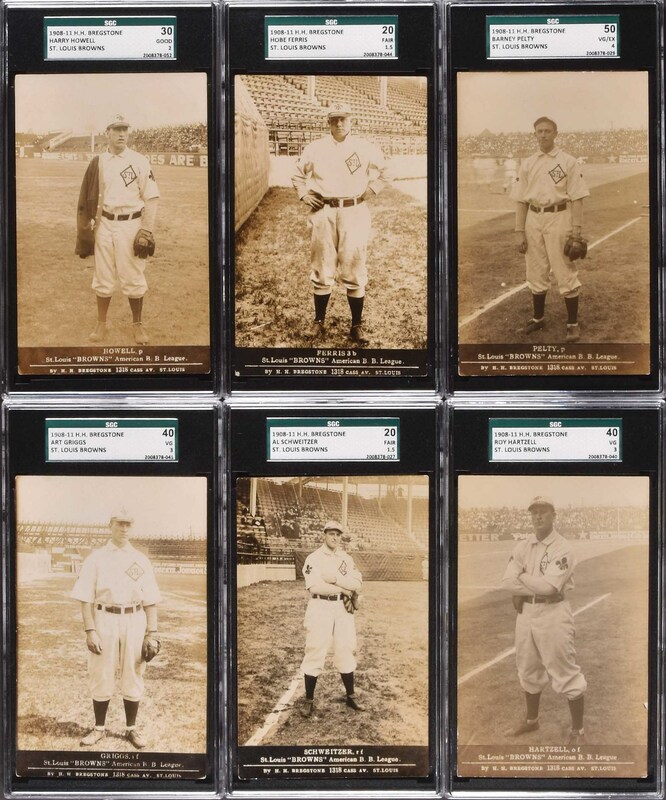 This group of cards originates from the finest collection of Bregstones to have ever been assembled! (The collection is being offered as several lots in this current auction.) Each card is graded and encapsulated by SGC (submitted by REA). SGC Grading Report: One VG/EX 50: Pelty. One VG+ 45: Dineen. Three VG 40: Griggs, Hartzell, and Stone. Two GOOD+ 35: Bailey and Patterson. Four GOOD 30: Grahame, Hoffman, Howell, and Williams. Five FAIR 20: Criger, Ferris, Jones, McAleer, and Schweitzer. One Authentic: Smith. All the cards are bright and clean, with writing on the reverses of thirteen cards. 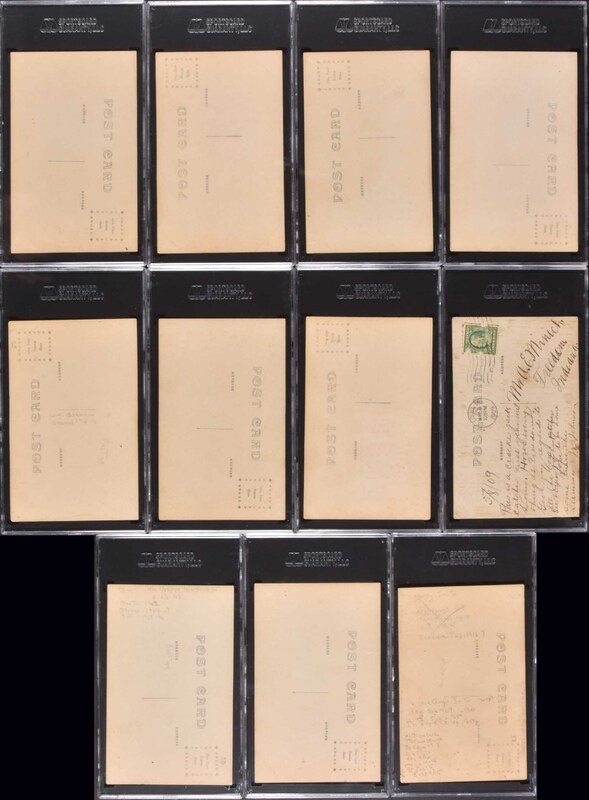 This is a very attractive grouping of seventeen postcards from this extremely rare series, which would make a superb addition to any Bregstone set, St. Louis Browns, or advanced baseball-postcard collection. Total: 17 cards. Reserve $2,500. Estimate (open).